Paralegals are in strong demand these days almost everywhere in the country, and sometimes outside of it, due to economic reasons. Tasks once carried out by attorneys are being given to a paralegal instead, which costs a firm or business considerably less in outgoing wages. That is not to say paralegals aren’t paid well; they are. It means the field is growing, has a favorable outlook of 28% expansion through the year 2018, and offers job security by adding over 74,000 new positions in the profession. Paralegals perform many different functions, the sheer variety of work a boon for those who find repetition stale though specializing in a particular area pays off with large dividends. Among a paralegal’s responsibilities would be the preparation of legal documents (a paralegal is not the same thing and a Licensed Document Preparer though it may be beneficial in the field to become one. Otherwise, a paralegal must be under the direct employment of an attorney to prepare legal documents), interviewing witnesses, researching law, interpreting documents, analyzing facts, setting appointments, and deposition summaries. Other areas of expertise are also available for the specialist. Being a paralegal can mean a hectic pace and long hours if a case is going to trial, but it is rewarding and often fun, not to mention a paralegal draws a fairly good salary. 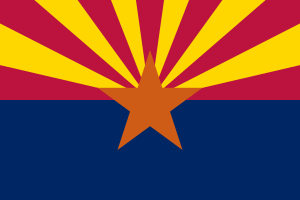 Arizona is a state that does not require certain criteria to be filled before one can take a position as a paralegal, although some employers might demand certain training or certification. Training can happen on the job but it is highly recommended the aspiring paralegal gets some formal education not only for a better position and salary, but to make herself more marketable. Only good things can come from being forearmed and forewarned and schooling in the field will help immeasurably. Paralegals are expected to adhere to a certain set of ethics and behaviors but otherwise there are no specific educational requirements. If you determine higher learning in the field is good for you – and it is – then you will want to consider which training is best for you. If you already possess a Bachelor’s degree or higher, then certification is the way to go and takes only a number of months to complete. If you do not have your B.A. out of the way, then an Associate’s degree will be required for this option, which completes in about two years. Of course, you may wish to go on to gain a BA in paralegal studies, which could launch you into the next salary bracket and set you at higher demand. For the same reason, also consider voluntarily gaining such credentials as a Professional Paralegal, Registered Paralegal, American Alliance Certified Paralegal, and Certified Paralegal. There are many options for higher learning in the field of the paralegal. There are online accredited schools, and for some this is a very good choice. Make sure the school is accredited, though that is not necessarily required for a job; however, better to err on the side of caution. Also look into what demands your prospective employers might have before hiring. In the state of Arizona there are three brick-and-mortar schools that have been approved by the American Bar Association (ABA). They are: Everest College, Phoenix College, and Pima Community College. Everest College offers two paralegal programs: an online program and a campus program. The online program is not accredited, only the campus classes are, so eschew online in this case. The Everest College in Arizona is the only Everest College campus that is ABA-approved. Phoenix College grants both an Associate’s of Applied Science (AAS) degree in paralegal studies and the certification for those who already hold a college degree. Those seeking a certificate will need to complete three semesters of further schooling and those who still need their Associate’s degree need to commit to four or five semesters. Pima Community College sits in Tucson, Arizona and certification for those with a Bachelor’s degree in any other discipline, or an Associate’s degree in applied science. This school is flexible with courses in the evening and on weekends as well as daytime classes.